One of the MOST important lessons I have learned was to stop saying “NO” to children. When I discovered there were other alternatives, I read about them, analyzed the reasons behind this approach, and agreed with it. It made total sense, and I eliminated NO from my vocabulary. I only keep it for special occasions involving safety, when there is not enough time to go into longer discussions. It was hard in the beginning, I had to stay focused not to say it all the time, to replace it with other choices, but now it comes naturally. I actually shrug when I hear parents scream NO at their kids in public. It sounds so foreign at this point. And you know what? 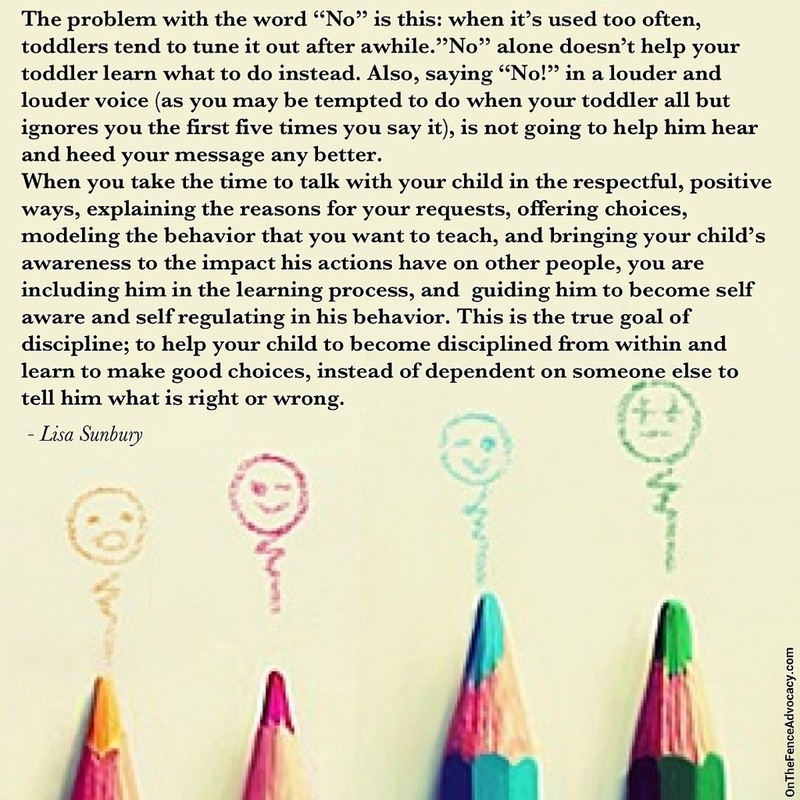 My kids don’t have a problem with not being told “no”, they listen to me even without me having to throw it at them every now and then. They just listen to me and think about what I tell them, and they do what I ask them to do. No screaming, no humiliation, no forcing involved. Try it. Thanks again! I try hard to eliminate “No”, but could do better. We all could do better sometimes, myself included.